A space for recipes, anecdotes, and all things bohemian. How do you make cauliflower soup? Which seasonings did you use? In a food processor, blend all ingredients (except oil) together until mixture is finely processed. Using a spoon and your hands, make balls out of mixture squeezing as much liquid out as possible. 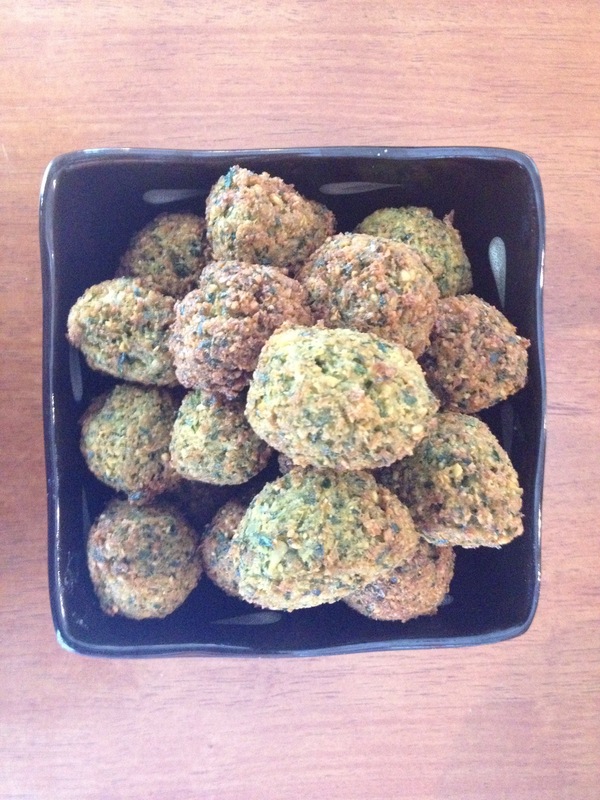 Heat enough oil to cover balls in a deep skillet on high heat or use a deep fryer. Once oil is hot enough to fry, place balls in the oil and fry for about 8 minutes. Remove from oil and allow to slightly cool. Whisk all ingredients together until well combined. 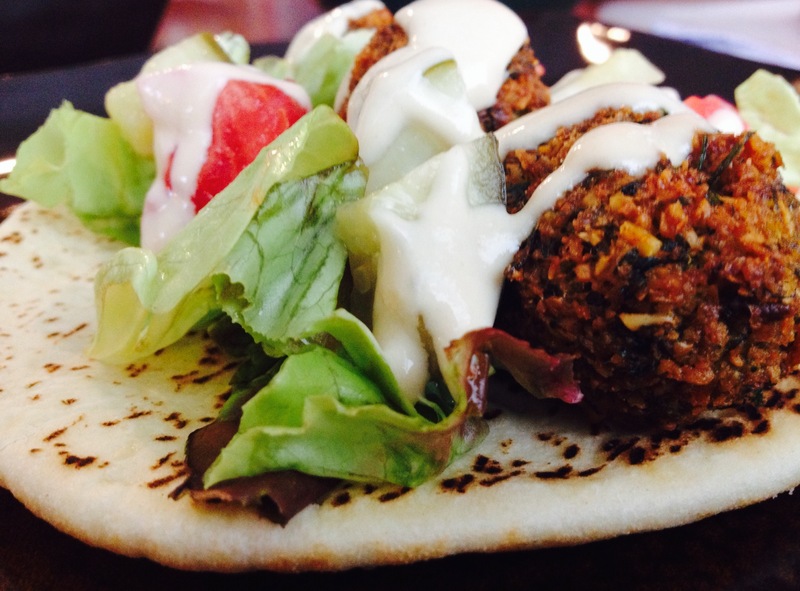 Pour on top of your falafel prior to serving. Rinse and soak the lentils overnight. Cook them in chicken stock, ginger, garlic, turmeric, cumin, paprika, and salt until tender. Add all the other ingredients. Mix then lower the heat and allow lentils to simmer, adding more stock and stirring every now and then. You decide when you’re ready to serve. I allow this to cook for hours before serving. Do you make Indian food? What are your favorite Indian recipes? As you’ve probably gathered by reading my blog, I don’t meal plan. I create meals out of the ingredients I already have at home. This practice is fun and keeps me nurturing my creativity. A friend of mine left two boxes of restaurant steamed rice in my fridge. I do not care for rice but I also do not waste food so I decided to use the rice in the meal I prepared for my guests last night. I made meatballs out of ground veal, rice, and spices then cooked them in a skillet coated in grapeseed oil. I seasoned the remaining rice then fried it in the meatball grease. I massaged spinach with walnut oil and fresh lemon juice then added cashews I had previously roasted with oil and sea salt. Cherries were served as dessert. This was delicious, semi-healthy, simple, and fun to make. My guests enjoyed their meal and I got to use up all of the rice I was dreading eating. Chicken Tortilla Soup! Oh, my! • Turn your stove on to medium heat. • Place stock pot on burner and add a small amount of oil. • Lightly sauté onion, garlic, and peppers with sea salt. • Add chicken to the stock pot then pour water in until it covers the chicken. • Add more salt and all of the other seasonings. • Add tomato purée, more oil, then stir well. • Once soup starts to boil, partially cover with lid and reduce the heat to low. Simmer for about 1.5 hours. • Remove chicken and place on a cutting board. When cool enough to handle, remove and discard the skin and bones, then hand-shred the meat and return the shredded chicken to the soup. Let simmer about 15 more minutes. • Pour soup into bowls and add cilantro, scallions, cheese, avocado, and fried tortilla strips right before serving. How do you make chicken tortilla soup? • Lots Of Fresh Lime Juice! Blend all ingredients together. Transfer to bottle. Store in fridge for two hours before serving. Shake well before each use. How do you make cilantro salad dressing? How do you make salad?